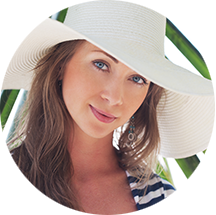 Erika Wright is a board certified Physician Assistant, licensed by the state of California. Her desire to help others, as well as her love of science, lead her to a career in medicine. 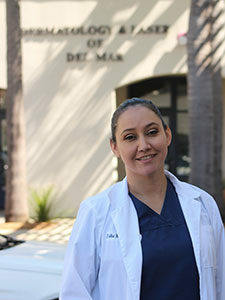 Erika completed her undergraduate education at St. Mary’s University in San Antonio where she received a Bachelor of Science degree in Biology. Furthering her education, she completed her Master’s Degree in Physician Assistant Studies at Midwestern University in Chicago. Erika is well versed in treating patients with acne, psoriasis, rosacea, eczema, and warts, as well as comprehensive skin examinations to detect and treat skin cancer. She also takes a special interest in our body contouring patients and has expertise in CoolSculpting®, Velashape, Thermage and Ultherashape POWER. Erika is originally from El Paso, Texas and lives in Encinitas. In her free time she loves cooking, traveling and spending time with her husband and two sons. Staff Spotlight: Meet Erika W.
Erika joined #teamdermdelmar in 2016 and has quickly become a favorite with patients. 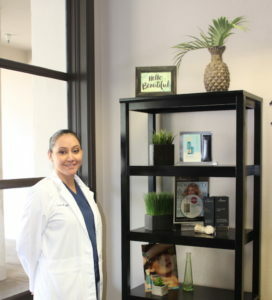 Erika has a great deal of experience in medical dermatology, and is an expert in body contouring. When she’s not at work she’s a busy mom with two young boys that keep her very busy! She loves cooking, traveling and hosting her family during visits from Texas. I love Facials and SilkPeels. The TNS Moisture Infusion treatment is the best! It’s hydrating and pampering and my skin feels brand new at the end. TNS Eye Repair. I have noticed a real difference around my eyes since I’ve started using it. Being from a hot and sunny place (El Paso, Texas) I have always tried to do as much as possible for prevention. I use SkinMedica Vitamin C & E Complex in the morning, followed by Total Defense & Repair for sunscreen. At night I use Retinol Complex to stay on top of brown spots, SkinMedica TNS Eye Repair and Dermal Repair for my night time moisturizer. I love the way SkinMedica Dermal Repair feels, it’s rich and nourishing and smells great! Tips or tricks: Wear a hat when you are out, especially during peak hours. Get your kids in the habit of wearing sunscreen when they are little. It’s better to start them young and have it be second nature to them.